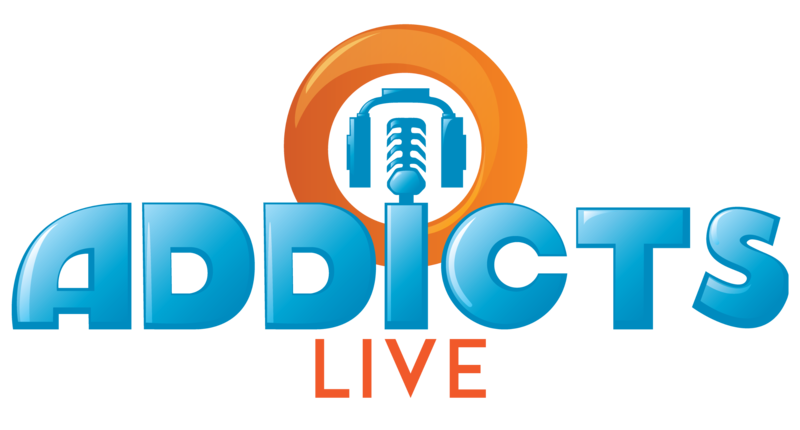 It’s that time of the week again, time for the Addicts Weekly Open Thread! So, let’s get the conversation going! Oh and remember…just because this is posted here today doesn’t mean you can’t comment on it all week long. This open thread will still be open for comments long after today is over! 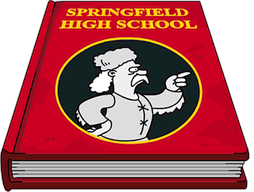 Here’s where you can talk about anything you want to talk about…TSTO Related, Simpson’s Related or ANYTHING. Just no Add me requests…those should go here. We’ll give you a few suggestions (like most Sunday’s you can talk about the current episode of the Simpsons) but for the most part you’re free to talk about ANYTHING your little Tapping Fingers desire…just keep it PG. 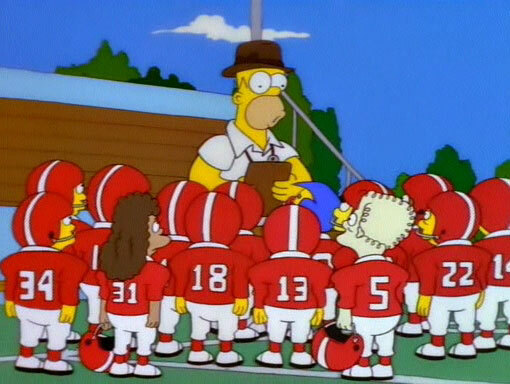 So, here is your Open Thread…..
No new Simpsons this week…Football Championships are on FOX instead. In fact, I don’t think there will be a new Simpsons until after the Olympics are over. That’s a long hiatus from our favorite yellow family. How will you cope with Simpsons withdrawals? This week saw the end of The Buck Stops here and a hello to Homergeddon! 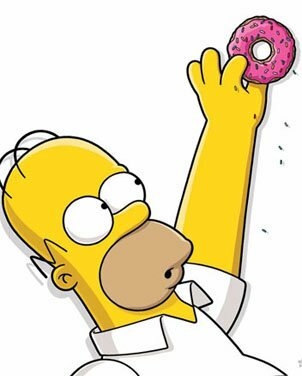 As the new teaser arrived with a tasty treat for Homer. Have you completed the teaser questline? Looks like a new event will hit next week, what do you think it will bring? How was your weekend? Do anything fun and exciting? So chat about the Simpsons, TSTO, Update fun, or anything else you can think of! (Just no politics, it never ends well) Can’t wait to chat with you all, you know we love hearing from you! Have Fun! And happy Sunday! This entry was posted in Open Thread, Tapped Out and tagged Tapped Out Tips and Tricks, The Simpsons Tapped Out, TSTO Addicts, TSTO Chat, TSTO Community, TSTO Tips and Tricks. Bookmark the permalink. With the market, I don’t have time to tap. I know right…it’s CRAZY! Your portfolio is probably insane right now! Please don’t give me unsolicited financial advice. Hostility?! I just said please don’t give me unsolicited financial advice. Not sure how that’s hostile. Sorry – perhaps “hostile” was a poor choice of words and an overstatement. But you did “sound” annoyed. If you weren’t annoyed, I don’t think you would have replied at all…you would have just read my comment and moved on. Something bothered you enough that you felt the need to tell me not to do that (and to perceive what I said as giving you financial advice in the first place). You seem to have missed the sentiment of my previous comment, which was one of sadness and frustration, not anger or reproach. LOL, as an outside third party, asking someone if they’re annoyed or pointing out why they seem annoyed is usually a great way to annoy or further annoy them. I just remember a clip along the lines of “Are you annoyed? Are you sure you’re not annoyed? You seem annoyed! Here’s why I think you’re annoyed!” LOL! If she wasn’t annoyed before, I wouldn’t be surprised if she is now. Depends what you mean by “better off”. If you have stocks higher prices mean you can sell at a good profit when you need it. As an investor you hope you buying a stock at a price lower then when what it will be when you sell it. A constantly rising market makes that more likely. That is why buying early (when you are young and can hold for a long time) and dollar cost averaging are good strategies. But I rather see a rising market that a flat or falling market, cause you never know if will turn around by the time you need to sell. Good point, Charles, although I think it’s slightly less applicable when we’re talking about retirement investments, which generally shouldn’t be withdrawn from (if you do can help it) during the accrual phase. Unless one is an investment whiz, I think one is generally better off choosing an asset allocation strategy appropriate to your risk tolerance and where you are in your life (age, when you’re planning to retire, etc..), and then making regular periodic deposits into an account that does automatic rebalancing (and/or just going with a target-date fund). The good thing is, unless one is fairly close to retirement or making riskier investments, the market, over the long term, tends to give a pretty steady return rate. So, during the accrual phase, a downturn isn’t necessarily a bad thing. But, once you’re retired, that’s when you have to really have to pray for a good, long bull market! “maybe I should just stop writing”…. Are you putting this up for a vote? I realize that this is an “open post” but, people’s personal finances are just that…PERSONAL. And, most free financial advice, particularly when it is so general, is worth the price you pay for it. There are LOADS of reasons that an inflated bull market can be beneficial to people, who are wise enough to know when to get out…and there are loads of ways to “borrow” your earnings, at “no interest/no penalty loans to yourself” that will work at any age. But…I strongly suggest that anyone reading this thread, seek a QUALIFIED financial planner…and not look to a cartoon-game-based forum for any advice from anyone…myself included…unless it is about the game. ““maybe I should just stop writing”…. That was just gratuitously nasty and mean. Does it make you feel good to try and hurt someone’s feelings like that? The very first item on list of guidelines for this site is “Be kind to others.” Do the guidelines not apply to moderators as well? At some point, it starts to lose its meaning. I admit it was snarky, but was meant as a joke… But you seriously need to think about what you mean when you write it. I love everybody on this site from grumpy old men (like me) to moms of cuties to all the people that try to help other addicts navigate this silly game we all play WAY too much. I wish I could have coffee, or other morning beverage and talk with you about our upcoming day and then do the same with a more adult beverage later in the day and talk about how we knocked it out of the park that day. I guess some people need a Qualified Financial Planner and are willing to pay for the privileged. But there are some basic rules of finance that you can learn without being charged. From what I have read only one stock was mentioned which hardly describes anybody’s “personal financial situation.’ And though this isn’t a financial forum, I don’t think it is a musical forum, or the many other subjects unrelated to the game I have see here. Like most free advice, I feel you should just ignore it if you don’t like it. But if it “bothers” some I will refrain from further discussion. Just like musical tastes, and ways to play TSTO, everyone’s financial situation is different. Some prefer riskier endeavors… Others prefer situations that are far less risky. Bottom line is… Unlike music or a game, offering financial help to those with whom you know nothing about, is ill devised in any situation. It’s like diagnosing someone’s mental status without meeting them. Finances require the full picture… Nobody here has that. There a very good reasons that financial advisors need to be certified, and there are loads and loads of banking and investment regulations. Bad advice can change someone’s life. Not exactly the best place to get financial advice… Ya think? Depends on the advice. Some good advice for everyone: (1) Try to stay out of debt, especially if you can’t take it off your taxes. (2) Have a reserve equivalent of six months salary in case you lose your job. Expect it take a month for every $10K in salary you earn to find a new job. Have a reserve to handle unexpected expenses, so you don’t have to go into debt. Budget. Check your credit card statement against your receipts (or budget or expense log). If you phone bill changes check out why. Buy insurance for things you can afford to handle out of pocket. Live within your means. Pay yourself first – save a small portion out of each check for your retirement. Pay off your credit card every month. Don’t put something on a credit card if you can’t pay it off at the end of month. ….. Excellent advice… Which can be found on virtually hundreds upon hundreds of Internet sites on retirement planning. However you won’t find anything about the Simpsons tapped out on the Ameriprise website. So we are still really important for those who care about the game. Hint, hint. Personally I am an mutual/index fund guy, dollar averaging automatically investing on a monthly basis. A lot less work involved. I’m having a difficult time playing the game. First I feel there’s a huge update every week now. Also I keep getting signed off. It’s to the point where I can’t even play the game without updating for 30 minutes. Part of it was my fault I got bored with 2017 Christmas update and stopped playing early December. I come back to the game every week and every week big update, also it keeps saying it can’t find WiFi and wants to use my phones internet. Sounds like a hardware issue….sorry. I was having some issues as well, until I got a new phone. Wifi connection is pretty essential if you want to upload changes, and play seamlessly. Even then, the game is a real memory hog. Anyone know what’s up with the rail yard not giving out donuts any more? It doesn’t? What happens when you finish collecting the 25,000 blueprints now? Howdy, I’m trying to figure out how to move forward with Flaw & Order pt 2. I’m stuck and Sideshow Bob isn’t showing up to capture? Hi everybody! I’ve been totally out for the last couple weeks. I had the flu but that’s not all, I had food poisoning with the flu! I didn’t eat much for a week, the violent vomiting from the food destroyed my esophagus so when my stomach was better it hurt to eat anything. I am finally eating well after two weeks but have been so drained of nutrients that I’m tired all the time and think I’m anemic. I’m taking lots of vitamins and iron. I should have been in the hospital but I’m too stubborn! I thought about working on my Springfield while I was sick but haven’t even had the energy to do that. Meanwhile, my dad was in the hospital. He has a major ear infection and they think he had a minor stroke. The doc said yesterday that his carotid artery was so full of plaque that he wanted him to go to the university of Chicago for surgery to have it cleared out. Today the doc remembered nothing about that and released him. Glad he’s getting to go home but not if it means a heart attack! He has to follow up with a neurologist in two weeks, he said I have to see him or his partner. I told him he just has to see a neurologist, so he’s going to a different one. So prayers for my dad would be greatly appreciated! Also for my mom because she’s a nervous wreck and was mad at me because she waited all day for the doc to come in and she missed him because I made her get dinner because she skipped lunch. I told her she has to take care of herself because I can’t take care of both of them! Hope things get more solid for you soon and healthier for your dad. In the meantime, I guess all you can do is hang in there and take care of yourself the best you can!